A question that is often asked when it comes to gambling with Bitcoin is how safe it is. Because of the massive amount of personal information most online casinos want about their players (like copies of ID’s, utility bills and other things), a lot of people feel a bit uncomfortable with getting involved. After all, it opens the doors to being tracked or having identities stolen, as well as kills any anonymity that would otherwise be experienced within the casinos. Luckily, Bitcoin helps alleviate this by opening the doors to a whole new way of gambling online in a way that is both safe and secure. One of the best things that Bitcoin brings to the table for those that do not want to give out their personal information is its anonymity. Any payments that are sent to players or from players are done without any information being broadcast other than their public wallet address, which is easily changed at any time (and is not linked to any identities, other than what players share on their own). This means payments can be both sent and received without knowing who the players are, and helps speed up the process since it means there is no verification process for deposits and withdrawals. On top of this, it allows for online gambling in jurisdictions where it is not allowed or where there are legal grey areas, since there is no way to know where players reside. When a Bitcoin transaction is sent, it is received by the other party pretty much immediately. There is no need to wait days or weeks (or, in some case, months) for the other party to get the funds, and there is no risk of them being confiscated in the middle of their transfer or otherwise denied. Once it is sent, the transaction is completed and finalized. A side effect of the fast transactions is that it allows players to gamble in an online casino and withdraw their funds as soon as they are finished playing for the day. The funds can keep being sent back and forth daily so that the casino is not holding any of the money. This is one of the biggest perks of Bitcoin casinos, as the tiny withdrawal costs ($0.01 per cash out) enables players to deposit and withdraw multiple times per day into their own Btc Wallet rather than holding funds at the site. Players are essentially able to keep full control over everything they hold, rather than risking the casino shutting down while still holding it. On top of this, the coins can be sent from anywhere. There are Bitcoin wallets and services for all major platforms of computers, cell phones and tablets, allowing for the transferring of money from anywhere at any time, as long as there is an active Internet connection. For the most part, Bitcoin casinos use a system called “provably fair”. This is used to help give proof that all results in the games are truly random, and the casino is not altering results to help themselves win more money (at the expense of the players). To help with this, most casinos offer up a special script for verifying their rolls, and players can run their own evaluations to ensure that everything is matching up as it should. To help add another dynamic to the provably fair system, some casinos take it a step further and have client seeds that the players are able to alter. This adds even more assurance that the rolls are random, since the players themselves are able to have an impact on the results. Being able to transfer money cheap also allows for playing lower stakes in online casinos, lowering the risk of playing. Unlike traditional casinos where there may be deposit minimums of $25+ and withdrawal minimums of $50+ (which all depends on the casino, as each is different), with Bitcoin casinos there is usually a very low minimum for each, and sometimes none at all. With most of them, players can go in with $1 and leave with $2 with no problems, while still getting the same fun and enjoyment without the increased risk by depositing more money. Because of the anonymous, irreversible nature of Bitcoin, choosing reputable sites to play on is important. Just like with any business, there have been some less-than-legitimate ones created, and avoiding them at all costs is a good idea. Luckily, there is Google, which helps give a way to research them. The process to follow is to search for the site name + reviews, in the format like “Betcoin reviews.” This will pop up different sites and people’s experiences, which will help get a more holistic understanding as to how the site works and if they are paying out as they should. If there are a lot of people having problems with the site, it is better to avoid it than to take a risk. If there are very few reviews for a site, it is best to play it safe and risk smaller amounts of money there until confidence has been built up in the operation. 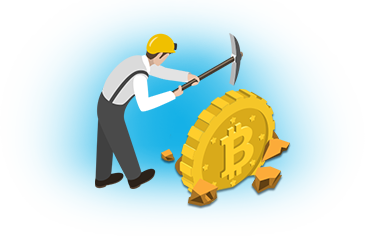 While this still does not guarantee that the site is not going to disappear, by mixing the instant withdrawals (and keeping money off the site when not playing on it) and gut feelings, there is a much lower risk factor. Bitcoin resolves a lot of the problems that surround gambling online. It allows players to gamble completely anonymously, allows for making deposits and withdrawals (of any size) quickly and easily, and opens the doors to provably fair gaming to ensure that the casino is not attempting to cheat players using rigged games. When it comes to gambling online, Bitcoin makes it safe, and it is the perfect compliment to any online casino.